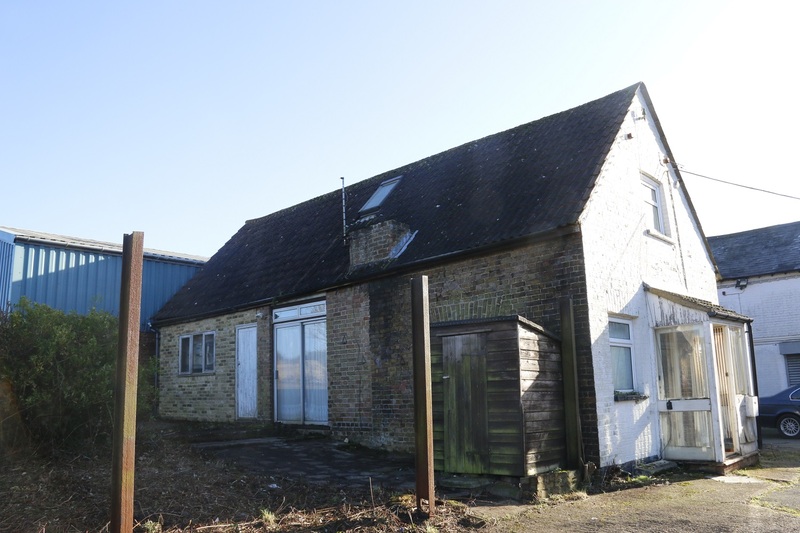 You are here: Home>Places>Brazier's Dairies>Carpenders Park Farm - "Little Carpenders"
Carpenders Park Farm was formerly home for many years to “Braziers Dairy” the property is now disused and in 2016 the whole property was put up for sale. 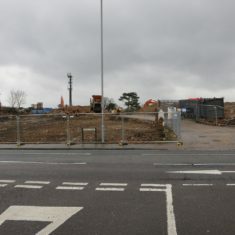 Part of the land has been purchased by Hertfordshire County Council for a possible site for a new Secondary School in the future. 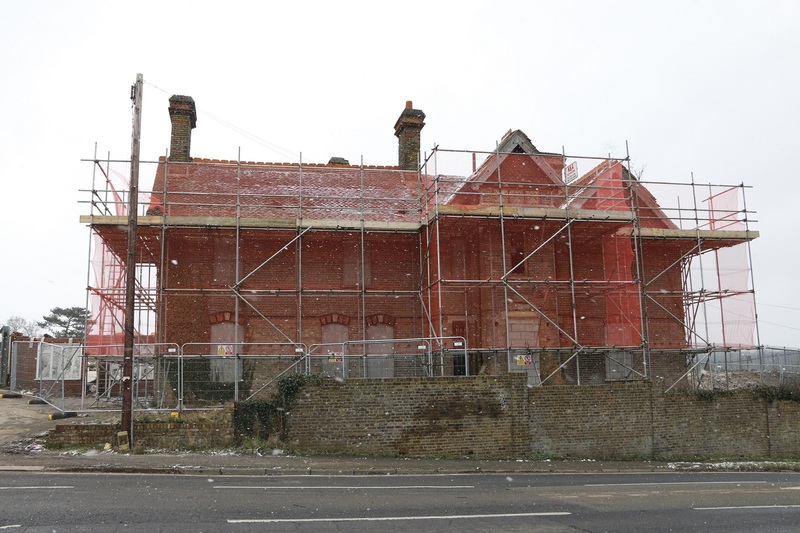 This house dates from around the 1860’s and may have been the Estate Agents house for the “Carpenders Estate” The full house has recently become visible from the main road after trees and surrounding hedges have been removed. 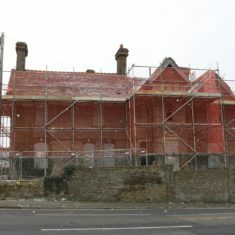 The house is uninhabitable at the moment and is set within an orchard and a large garden and is situated to the right of the main drive of the farm. This page was added on 09/03/2017. reading the comments memories come flooding back. Those electric milk floats. Many a time they would run out of juice normally the furthest point from the dairy towards the end of the round. My round went out as far as Croxley Green and Rickmansworth. No fun sat out there in the winter waiting to be towed in. The heating was great as there was none no doors either not like the Express Dairies who had modern rear door or the co-op who had proper.. petrol/diesel engines with heaters. They were not the fastest, asked any lorry driver reving their engines behind trying to overtake and when they did just hope there was no surface water on the road as you would get soaked when they passed. There was a notice inside warning you that you should not do over that you should not do over 15mph no chance straight out the dairy either direction was down hill 700 pints of milk on they used go like a rocket. They were wide if a car pulled up behind you could not see it many a time I reversed only to hear a horn sounding then a bang when I got out saw an irate driver. They had to be charged the charger was free standing directly behind the back of the float which made reversing upto it tricky. My brother helped me in those days amongst loads of others, he would direct me back and always waited until I hit the charger and then shout stop. Don’t forget to unplug before moving off as they they could be driven with it still plugged in resulting in dragging the charger across the yard. Done the a couple of times rushing about having overslept. Worked for Mick Steward even babysitted for him and Rhona. 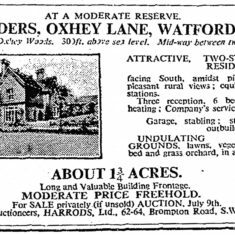 I used to live in South Oxhey and remember Braziers dairy delivering milk in the area for many years. I now live in Loughton, Milton Keynes and my wife used to be a mobile hairdresser and used to cut Roy Braziers hair in Loughton, is this the same Roy Braizier? His wife was called Phyliss. I was a rounds men at the dairy from 1973 to 1977 and before then a milk boy. Great times early cold mornings very hot summers seven days a week upto six months without a day off, Roy shouting his off at you for not collecting his outstanding balances. Great times a good laugh. very sad to see it all go. 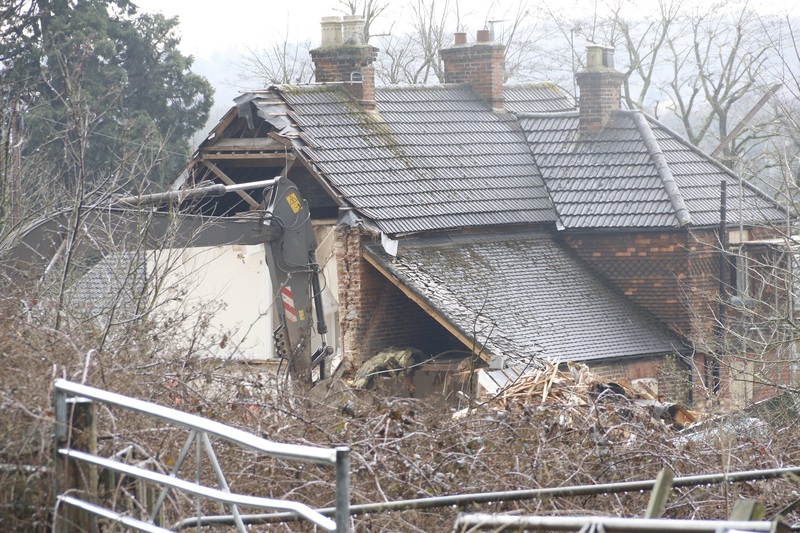 I’m Nick’s mum, and I was really sad to hear that our old cottage (no2 ) and the rest of Brazier’s Dairies has been demolished. My family moved there from London in 1960 and I spent all my teenage years living there. For my sister and I it was such a contrast to living in London; living on the farm was wonderful. We used to walk across the ‘five fields’ to King George’s Rec in Bushey to use the outside swimming pool in the summer holidays. There were cows on the farm, also horses belonging to Suzanne’s riding school. There was a threepenny- bit shaped barn at the back where a man used to keep his blue sports car. My sister and I used to play in the porch of the old house, and my dad had a bit of an allotment in the garden of the old house for a time. We used to go to the shop to buy penguin bars from the hatch- they used to be sold singly then! Across the road was the American base. There used to be Halloween celebrations there long before it became fashionable in Britain. Hi Neil , she lived at Number Two. Such a shame it’s all gone , they don’t hang around ! 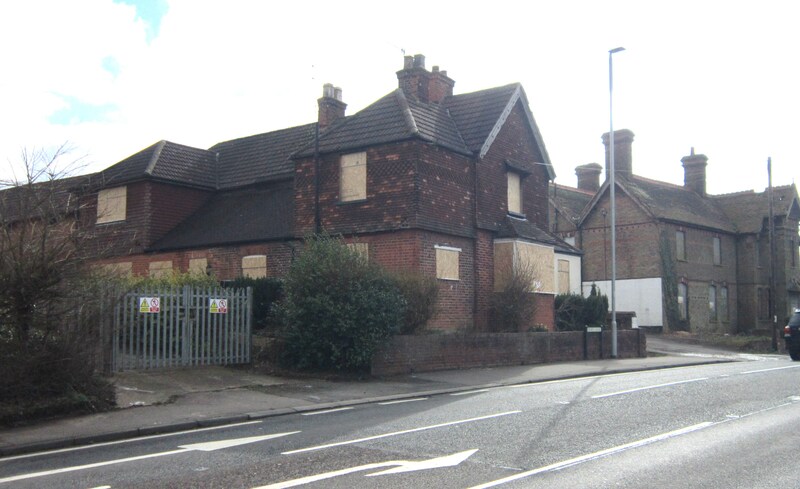 Does anyone know when the council will start building here and if the two cottages will remain ? 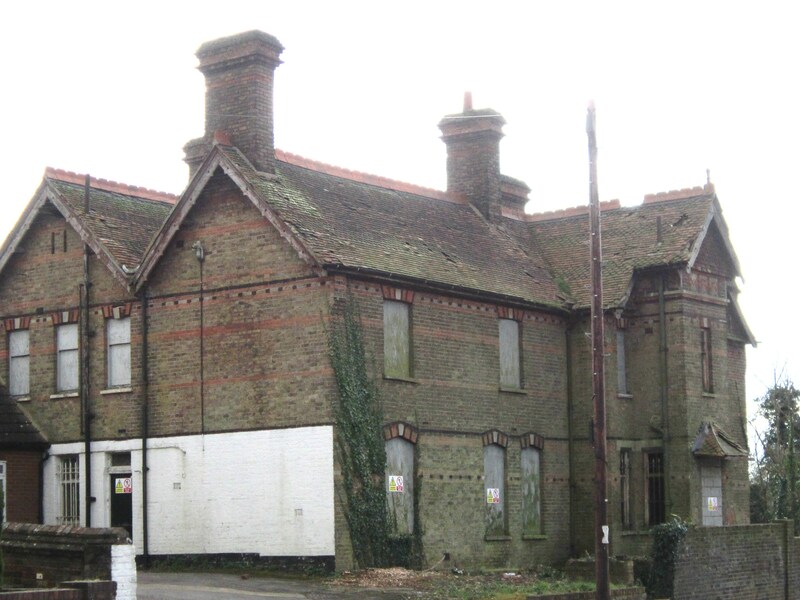 My mum wants to go back and visit where she lived and old family haunts around Watford – need to visit before it goes ! My grandad was a milkman and latterly a foreman at Braziers up until his passing away in 1987 . His name was Ken Odhams . 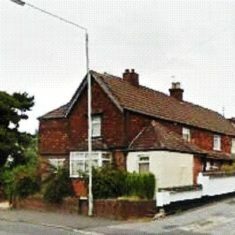 Ken , my Nan Irene , Mum and Aunt lived on the farm in one of the cottages for many many years from the early 60’s – I used to love visiting the farm in the 70’s and v early 80’s , my grandparents still lived in the cottage then . Watching the big articulated lorry squeeze into the dairy entrance ! My grandad would let us go up and sit on the milk floats in the garage there . 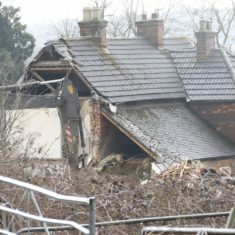 Unfortunately the whole farm, including barns, and cottages has been demolished. 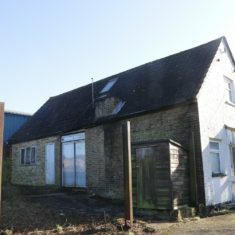 The old farm buildings were the first to go, followed by cottage no 3 at the rear of the site, then the two remaining cottages. 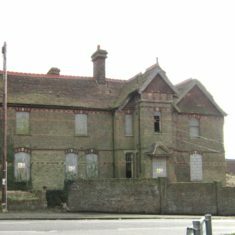 Little Carpenders, the derelict house at the front of the site was the last building to go. 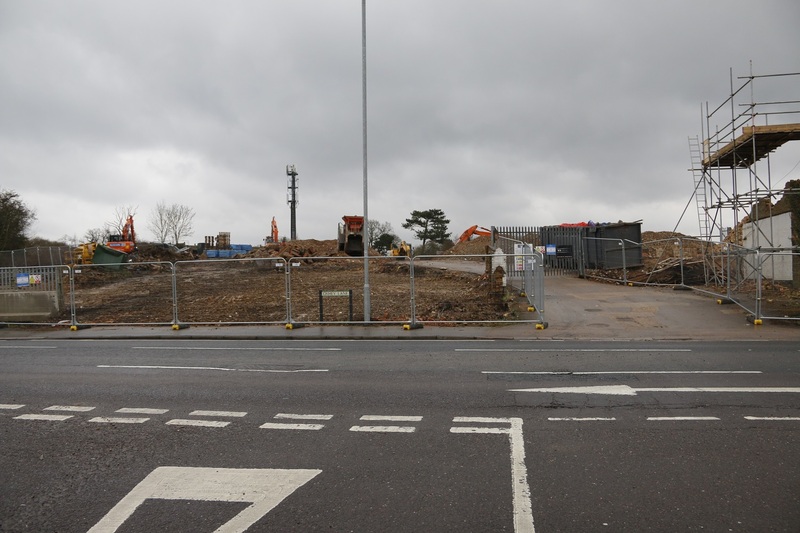 Contractors are now just tidying the site ready for development. Which cottage did your family live in? Apparently I heard a bus company had purchased this land to use as a bus garage. Does anyone know anything about this ? 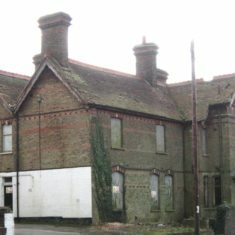 This would relate to the land in Little Oxhey Lane, which is now used by a bus company. 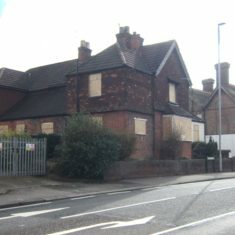 Planning application has been granted for a 78 bed Care Home to be built on Carpenders Park Farm in Oxhey Lane. I am Roy Braziers grandson but what can you do, people die and others won’t take the reins. I keep returning to this page, as it keeps reminding me of the past. 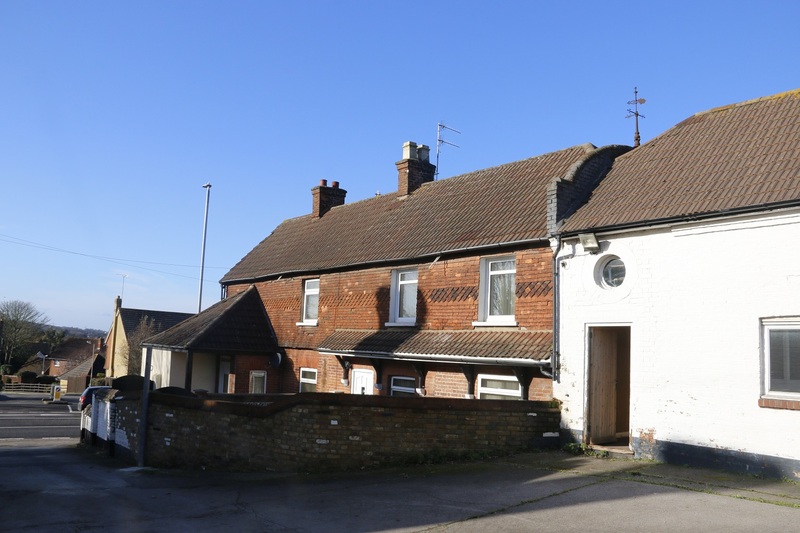 The centre photo, ‘Entrance to Carpenders Park Farm 2017’ The small building attached to the house, was originally the bottling part of the dairy, bottles were washed, cleaned, refilled with milk, and then placed into cold storage. 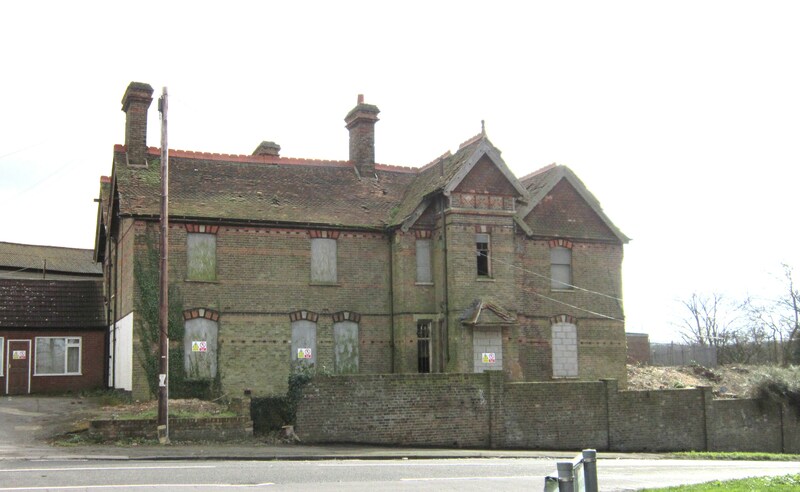 At the rear of the dairy was a boiler house, which produced steam, which was used steam clean the milk churns. At the side of the house which is now painted white, was a shelter where you would wait and queue, while waiting to be served at the serving hatches situated in the hallway just inside of the doorway. I enjoyed reading Neil’s comments about the decaying interior of the house, especially about the shop. I would be interested to know if the 2 Serving Hatches were visible, as they looked out into a passageway where the customers waited, waiting there turn to be served . The picture of the house in the poster is how I remembered it. Mrs Brazier’s father used the conservatory like a Greenhouse. the garden was stocked with soft fruit Blackcurrants, Raspberries, Gooseberries, Strawberries etc., which he tended, at the back of the garden was an orchard, in which included Pigsties. The house in the poster, roused my memory to remember happier times. These pictures remind me how time has changed surroundings. 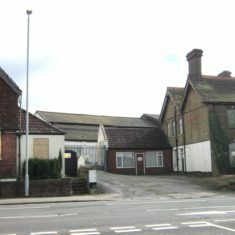 Carpenders Park Farm, and ‘Little Carpenders’ were separated by a wall, ‘Little Carpenders’ & Braziers Dairy was one separate unit Called S.A.Brazier’s Dairy, and was owned by Sid Brazier, and its entrance was as shown in picture, as Entrance to Carpenders Park Farm. 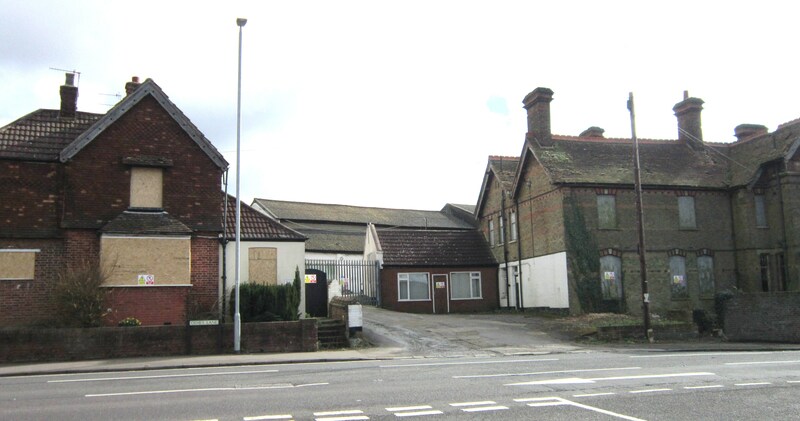 Brazier’s was a dairy, which bottled milk supplied in churns from the then Independent Milk Company, and then delivered to the local areas of the St Meryls Estate and Hatch End, by horse drawn milk carts. 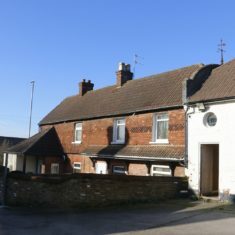 Carpenders Park Farm was sold to Mr Brazier in the 1950’s, and made into one unit, as can now be seen in the pictures shown. 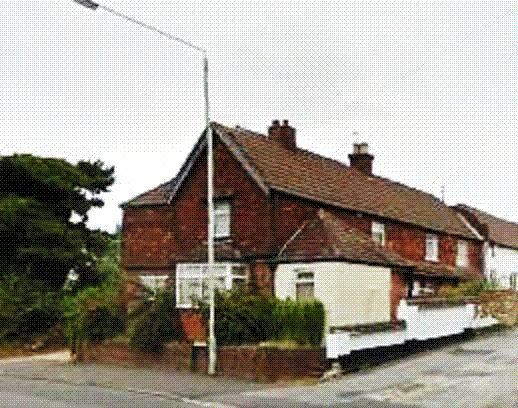 I lived in Carpenders Avenue, and was able to help the Land Girls on the farm, & Roy Brazier with his milk round during school holidays, I was eight and it was 1940.